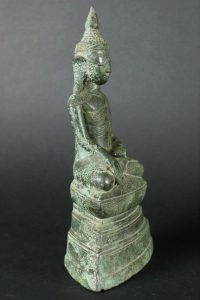 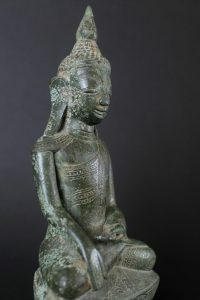 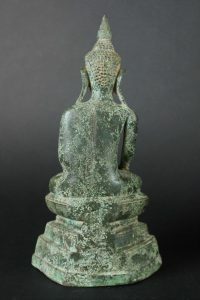 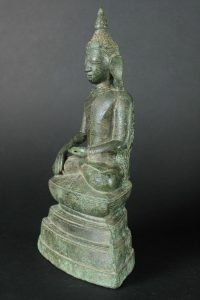 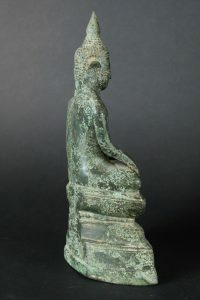 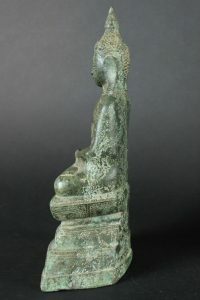 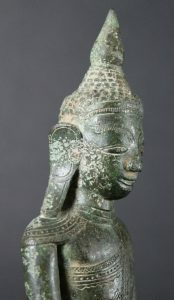 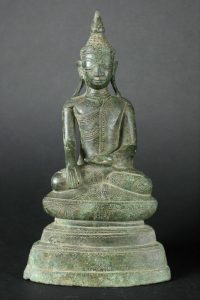 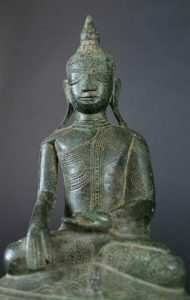 Bumishpasha mudra, sitting on a high throne as typical for the style. 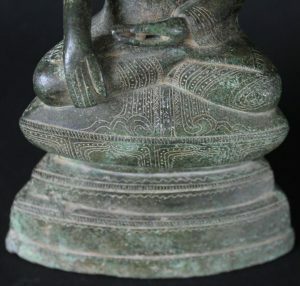 Embossed lines. 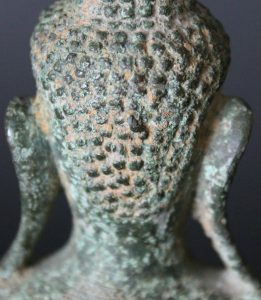 decoration .